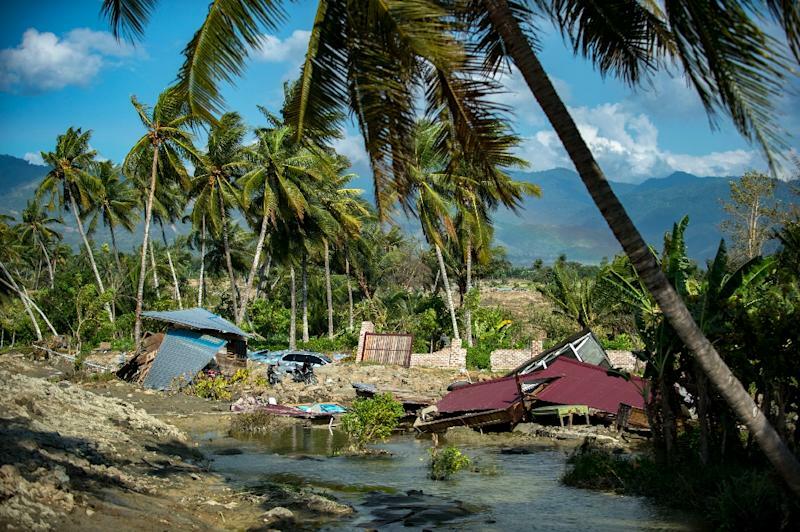 Lots of places on the beleaguered Indonesian island of Sulawesi were hit hard by Friday's deadly earthquake-tsunami disaster. But perhaps nowhere quite as badly as Petobo. For four days, rescue workers and government officials have struggled to reach this suburb on the outskirts of the devastated city of Palu. Traversing roads crisscrossed with cracks several metres wide, it is easy to see why access was so difficult. Here the 7.5-magnitude earthquake's power is in full view. It wiped out homes, schools and roads and created massive rifts in the earth that obliterated everything around them. For as far as the eye can see, there is a patchwork of twisted roofing, downed power lines and rubble, endless rubble. There was no tsunami here -- Petobo is too far inland -- but the earth itself liquefied under the power of the jolt. It is a phenomenon called liquefaction, often observed by seismologists. 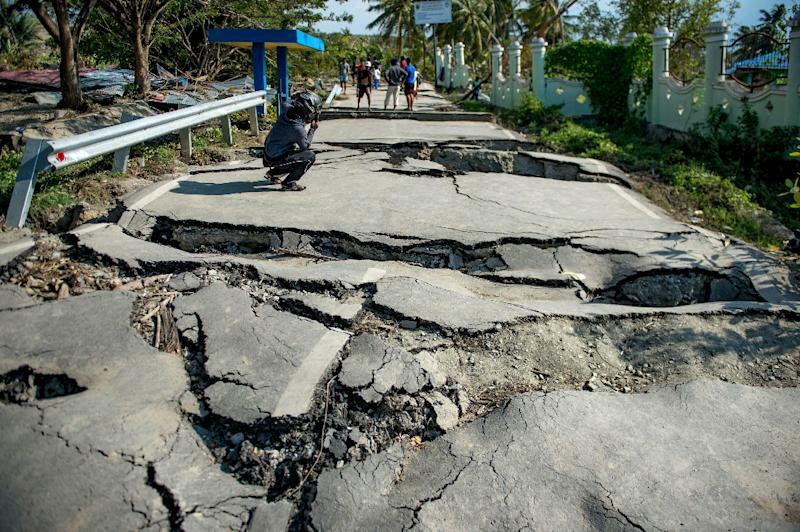 Quakes sometimes hit the soil with such force that its particles come loose and -- saturated with water -- the ground itself starts behaving like a liquid, according to the United States Geological Survey. In places, the ground has risen several metres, swallowing homes and flipping cars onto their roofs. Muzair, 34, salvaged what he could from his home, which had been literally swept away. He then clung to a piece of timber and rode out the quake. "My house shifted many metres from up there to down here," he told AFP, pointing at the collapsed buildings behind him. "My neighbours' houses have been piled on top of each other," he told AFP on the scene. When the first earthquake hit it cracked the ground, he said. And when the second struck, the soil started to spin. There have been more than 170 aftershocks since then. "The soil was churning and then suddenly rose up," he said. 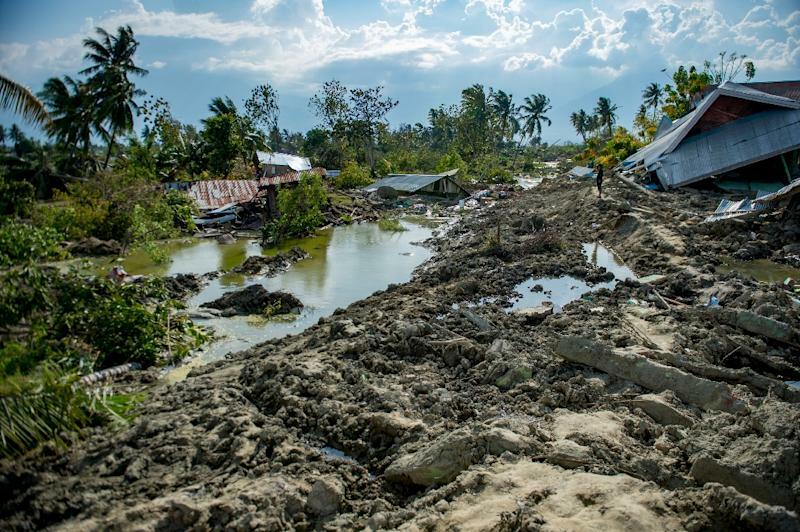 "The soil somehow just rose and buried the houses." "One house rose up, while the other houses sunk and became much lower." Five of his family members are still missing. Other places have been inundated with water released from the huge cracks in the ground. "I haven't seen my friend since the earthquake hit three days ago," said another man, wandering through the ruins as he searched for signs of the living.